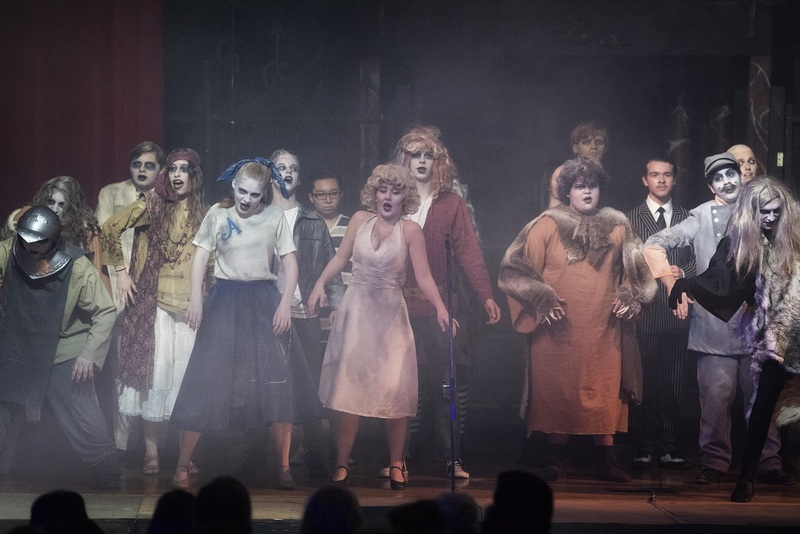 Throughout our history, St. Thomas High School has always regarded theater productions as an important educational experience. Whether you are an actor, on the stage or tech crew, in the orchestra pit, selling tickets or a member of the audience, your life is enriched by theater. 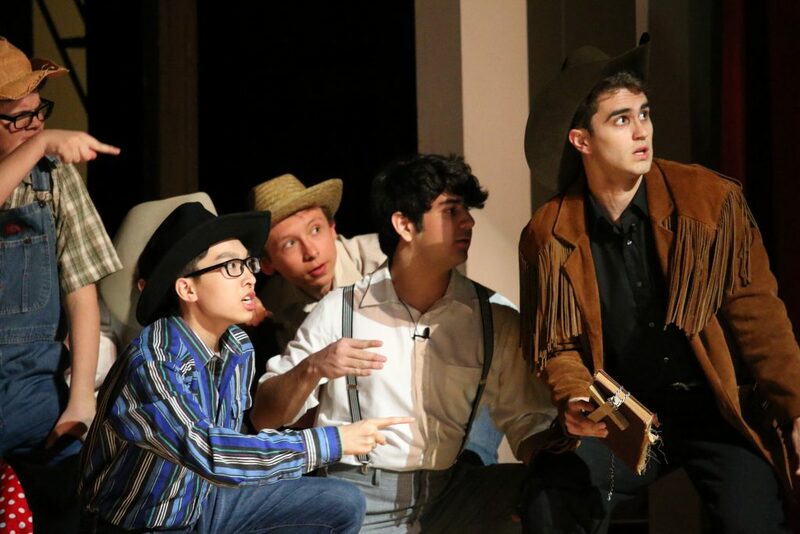 Students from our sister schools are also involved in our productions, making for a vibrant theater community performing Shakespeare, favorite American musicals, classic comedies and dramas. St. Thomas stages a play and a musical every year. 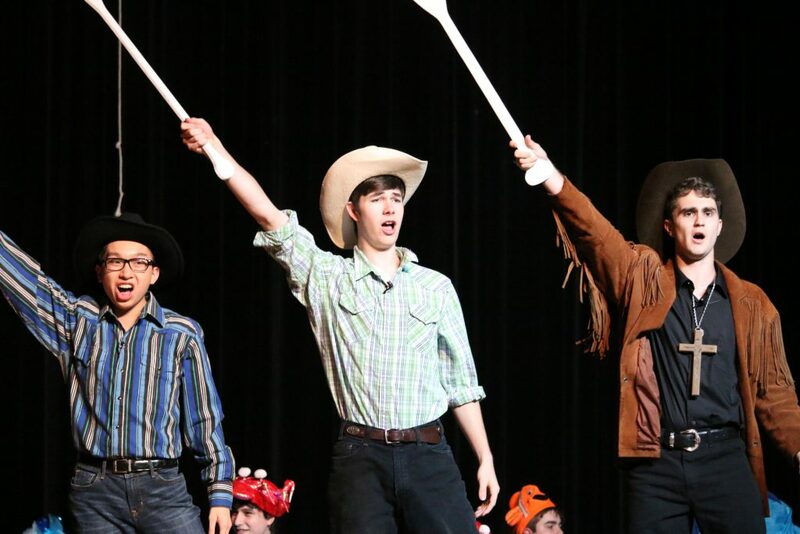 Students can participate in theater and still have time for certain sports. Mr. Green has B.A. in English from Spring Hill College and a M.Ed. in Educational Leadership from Lamar University. 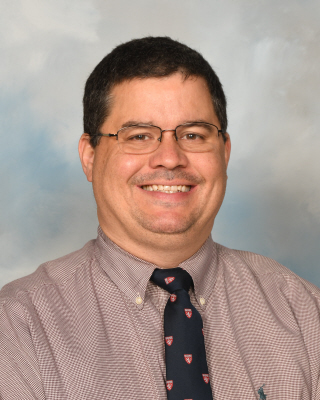 Having taught since 1995, Mr. Green first arrived at St. Thomas High School to teach English and Speech. Since then, he has taught English, Speech, Theater, Theater 2, film, and the Language Arts summer enrichment class. He has been the director of the fall play and the spring musical every year since 2003. 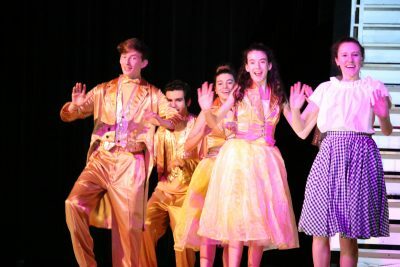 There he has fostered a very active, enthusiastic, and fun co-ed theater program that over 50 students and their families participate in every semester. 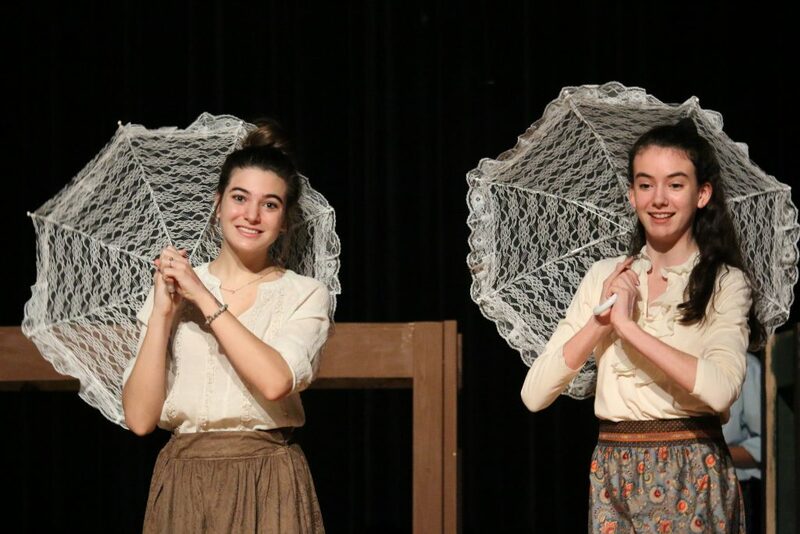 Theater I introduces students to the wonderful world of theater. 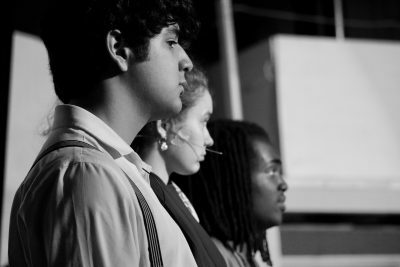 The course includes onstage practice & performance, stage movement, vocal technique, and improvisations as a means of bringing both scripts and characters to life. A portion of the class is structured around self-evaluation (with aid of camera). 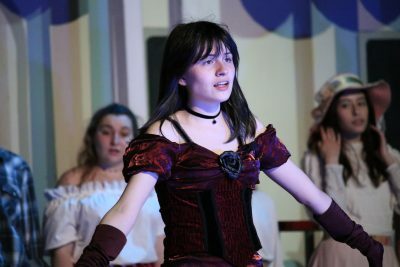 Students will also learn some of the history of drama, and ultimately participate in the production of a one act play by the end of the semester. Theater II continues the introduction to theater –including onstage practice, performance, stage movement, vocal technique, and improvisations as a means of bringing both scripts and characters to life. A significant portion of the class focuses on self evaluation (with aid of camera), but students also attend and evaluate performances in Houston area theater. Additionally, students workshop ideas, original monologues, playwriting technique, etc. The final project is a collaborative creation and production of a one act play or film. Tech Theater is an exploration of the duties of stage technicians and their contribution to the total aesthetic effect of a dramatic production. Technical theater will incorporate academic study and hands-on application of knowledge and skills. Students will focus on developing the basic tools and procedures for creating elements of technical theater including: stage elements, stage properties, crew assignments, theater appreciation, costumes, scene design, sound engineering, lighting design, box office management, and publicity. While this is only my first year in the program, I chose theater as my elective as I’ve always had something of a passion for film and I consider myself fairly outgoing. I enjoy challenging myself to grow in new ways, and theater has done just that for me. Theater, much like ceramics or drawing, is an art. That art of expression is perhaps the most important craft one could practice. The skills acquired in theater not only allow students to learn and broaden their horizons in an unprecedented manner, they are skills that will be used outside of the classroom. Theater serves as an enjoyable means for students to showcase their more creative side and challenges them to step out of their comfort zone, and perhaps surpass their own expectations. I enrolled in theater because I’ve always loved acting and meeting new people who have the same passion for theater as I do. 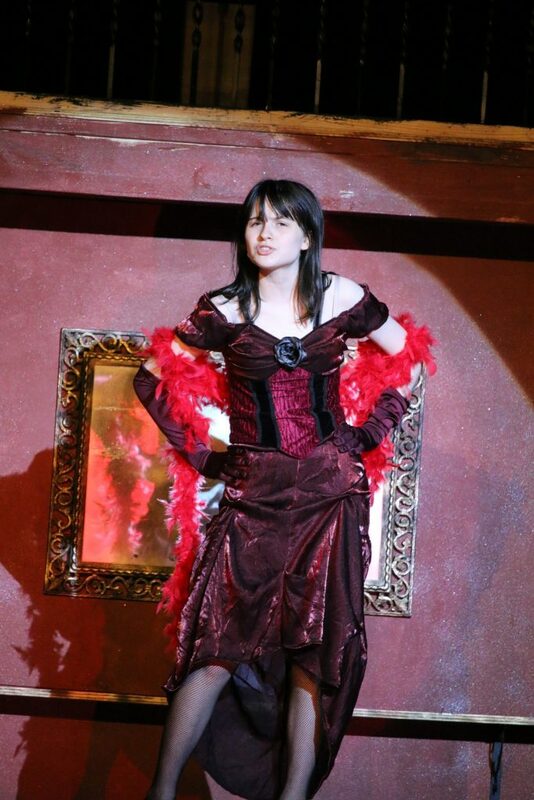 I started in middle school and have now been in 4 STH plays. What I like the most about theater is being able to portray any fictional character and act in scenarios that could never happen in real life. I had never done theater before and I thought I might be good at it and also have some fun. I had also heard good things about it from my brother. 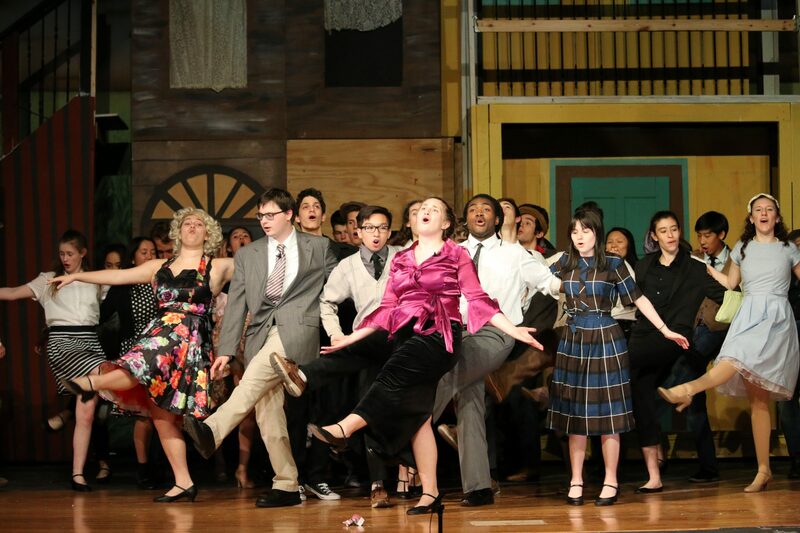 The most enjoyable part of this semester has been the final performance where we performed for our parents in costumes. I liked performing for my peers, it was on a different stage for a different environment.